This passage in Mark’s gospel is a tricky little number to get to grips with. Everything about it is just plain wrong, and at first glance should deeply unsettle us. In fact, as we gaze long and hard at it we should be unsettled more and more. This passage tells us as a lot about Jesus, and even more about ourselves in our relationship with Him. If you’ve been struggling in your intimacy with Christ, then Mark 6:1-6 might just hold some answers for you. The story is set in Jesus’ hometown of Nazareth. Nazareth is not a big place. It’s a tiny back end of nowhere sort of village. In fact when Nathanael (Bartholomew in the other Gospels) was called to follow Jesus, his response was “Can anything good come out of Nazareth?” (John 1:46). So you want to be thinking of quiet rural village where everyone knows everyone else’s business intimately across many generations, rather than a bustling metrolpolis. In this setting EVERYONE knew who Jesus was. They’d seen him grow up. They’d eaten meals with him, maybe he’d slept over at their houses as a kid. They’d watched him grow through childhood into adolescence, known his mum and dad, and more importantly, known the questions and the gossip surrounding his birth. “oooh, that Mary – she’s looking bigger than last month and she’s not even married. That Jospeh will never have anything to do with her now!” And then the continuing gossip surrounding them when they finally return from their trek to Bethlehem and excursion into Egypt. They return with a young boy called Jesus, Yeshua and try to settle into the community once again. People whispering , gossiping, wondering what went on. Mary and Joseph treasuring the events around Jesus’ birth in their hearts (Luke 2:19) and perhaps not letting on just what had happened. So in his home town Jesus was known for his questionable beginnings perhaps. It seems that by his middle childhood he was accepted because when he was lost to his parents after visiting the temple they had just naturally thought he was off somewhere with the rest of their community, among his friends and theirs (Luke 3:44). The trouble is as he grew up Jesus was known too well … or at least his humanity was known too well. For us, one of our problems in relating to Jesus is that we have a hard time knowing just who and what to relate to. Do we relate to Him as God – creator of the universe, awesome, almighty, majestic, …terrifyingly holy? Or do we relate to Him as man, humble, carpenter, servant, friend? As humans I think most of us relate to Jesus more readily as the human Jesus, the one called Yeshua by his mum, “Oi, Yeshua, dinner’s ready – go wash your hands!”, “Yeshua, get down from that tree, you’ll fall and hurt yourself!”. We like that Jesus because we have a connection with him we can understand. He’s like us. He’s human. He’s normal. He’s a mate. We love him and He’s amazing, but He’s limited in who He is, because ultimately we’ve made Him in our image. And so it is with the Nazarenes. They know Him as one of them. Yeshua is just Mary and Jospeh’s son, with a load of question mark’s around his birth. So when Jesus begins His ministry He falls foul of their limited understanding and lack of perception. They can’t see beyond their own experiences of Him. They can’t see what is beyond, the much greater, fuller truth and so Jesus remains to them nothing more than the boy with the shadowy past. In Mark 6 we see Jesus arriving back in Nazareth after having ministered around the Galliean villages, performing amazing miracles among people who didn’t know anything of His past, and nothing of His humanity – people who were expecting a Messiah and wondered if this might be Him. Their perception of who He was and what He might do was focussed more on the Son of God than the son of Mary. Their faith was greater than their gossip, their belief overruled their experience. Miracles happened. So Jesus comes to Nazareth and they’ve heard of what He’s been up to. They know about the miracles, they know about the teaching, they want to hear for themselves, but yet, … but yet, “It just can’t be can it? How can it be? This is just Jesus – Mary’s son … remember? The shame of His birth – the questions, the running away to Egypt. No! This can not be the Messiah.” And so they focussed too much on his humanity and could not believe in His true identity as the Son of God, the Messiah. In Jesus’ day a son would be referred to in relation to his father, not his mother. This reference to Him being “Jesus, son of Mary” throws into question again who His father was. They muck raking deliberately because they can’t believe in anything other than the humanity of Jesus. I wonder if we’re any different. But instead of knowing Jesus intimately like they did, and knowing his background, we know our own. In casting Jesus in our own image all too often we fall foul of our own humanity and brokenness. Jesus was never sinful, but we are. Jesus was never limited in His power, but we are. Jesus never fails in His love for us, but we fail in loving even ourselves at times. So why would Jesus bother with us? We read the stories of miracles and healings, but of course Jesus would never do that with us … would He? We know the truth of who is as Messiah, but we’re not really sure we can handle anything more than Jesus as friend. We believe He’s done amazing things elsewhere for other people, but of course He wouldn’t do that for us … would He? Our own brokeness and questionable life leads us all too often to project onto Jesus our own limited faith. Of course Jesus CAN do amazing things we say, but will He? …No, He most likely won’t. And then we wonder why He doesn’t. And this is the most unsettling thing about this passage. We read it knowing full well that Jesus CAN do miracles, but in Nazareth He doesn’t. Ok, he heals a few people, as though that’s just as easy as taking out the rubbish, but He doesn’t do anything more than that! Why not? Jesus blames it on the people’s lack of faith. When we don’t see Jesus doing anything we dare not say it’s because of lack of faith, instead we blame Jesus. or rather we make excuses – really good theological ones probably, but ultimately the fault doesn’t lie with us does it. It’s just not in God’s will (and there’s probably a lot of truth in that). But EVERY time? Surely we do still believe that Jesus CAN perform miracles, and surely we still believe He WANTS to perform miracles. So the question is why DOESN’T He more often? Maybe at the end of the day, we are just as guilty as His Nazarene friends and neighbours of focussing too much on His humanity and not accepting Him as God, as Lord, as Saviour, … as Messiah. Who is Jesus to you today? Is He someone you have made in your own image, or will you allow Jesus to be the great “I am!” – the one who created you, loves you, and wants to reign in power in your life. Yeshua – Son of God, born of Mary, God made man – crucified, buried, risen, glorified! A lot of people ask me about my tattoo – and to be honest I’m really pleased because when I was planning it I was thinking “I want to get something that people will ask me about so I can tell them about God”. So it seems fair to tell people about it. My tattoo is on my left forearm and is orientated for me to read, rather than other people. It is a permanent reminder of my lifelong calling and my identity in Christ. Here’s the story of what it means. The central image is the most ancient of Christian symbols, the Triquetra. It is an interwoven continuous loop with three lobes, which stands for the Holy Trinity, Father, Son and Holy Spirit. In orthodox Christian theology we believe that God is One in Three Persons – One God made up of three distinct entities or people – God the Father, God the Son, and God the Holy Spirit. This ancient symbol represents them, three distinct parts yet woven together as one, indivisably. It is an ancient celtic christian symbol with very murky roots as to when exactly it appeared or where. Sadly it has also been picked up by occult practioners and holywood. You will often see this same symbol used for totally opposite meanings. There is a popular TV show called Charmed which follows the exploits of some teenage witches. This symbol is often referred to as ‘the charmed symbol’. I want to state for the record that MY symbol is nothing to do with that. I was aware of it before I got the tattoo, but I decided that despite the confusion which might ensue, I would take a stand for the fact that this symbol belongs first to Christians, whatever the enemy might want to do with it. So the central image of my tattoo is God – Father, Son and Holy Spirit. He is the centre of my life. Everything I am is centred on God, and not just one part of God, my favourite bit of God perhaps, but ALL of Him. I can’t choose whether I’m more into the Spirit or the Son or the Father – it doesn’t work like that. We need to seek for balance and respect all parts of the Holy Trinity equally. So the Trinity is the centre of my life. It is also worth mentioning that the symbol I’ve chosen is an ancient celtic symbol. Being part celt (my grandad was Welsh!) and very much liking the earliest forms of church which emerged through the celts in the british isles, it seemed somewhat fitting. The Hebrew text above the triquetra is very very personal to me and my calling to be a minister. Elsewhere I will write my testimony, or the story of my calling into full time ministry. Cutting it short here let me just say that when I prayed and asked God what He wanted me to do with my life the answer eventually came back as a simple and clear word … “Preach!”. For me a call to preach was the very last thing I wanted to hear. So I responded to God with the great wisdom that “I am far too young to preach and I’m rubbish at it anyway”. This went on for most of the year. Every time I prayed to God what I should do with my life I got a calling to preach and I told God He was being stupid cos I was too young and rubbish at it. Then one day I woke up with the reference “jeremiah 1″ pounding in my head. It wasn’t the words of Jeremiah 1, just the reference itself. Now, I had no idea what it said, so I sat on my bed with this reference pounding like the urge to have a wee before your bladder bursts, and there I was confronted with my own argument coming out of the lips of this young man called Jeremiah. God calls Jeremiah to be a prophet to the nations and Jeremiah says “Ah! Lord… call someone else, for I am but a child and I do not know how to speak!”. That was almost word for word the argument I’d been using with God – I’m too young and I’m rubbish at preaching. And that is what I have chosen to mark my forearm with for evermore …”You must speak whatever I command!”. That’s my commitment to God’s word and God’s Holy Spirit. I will only preach what God has said. I seek to take God’s word literally, I KNOW it is utterly true and perfect in every way. So the top bit above the Triquetra is a passage in Hebrew taken from Jeremiah and reminds me every day of my God given duty of speaking his truth and love out there in very very difficult circumstances. The bottom text is greek and simply says “disciple of Jesus”. The whole symbol together reminds me each day when I wake up that my life is to be centred of God, that my calling is to preach the words which God has spoken, and that I am a disciple of Jesus Christ. It is an awesome challenge each day. As I said earlier, it is deigned for me and placed on my arm for me. I’m not really trying to prove anything to anyone else, rather I’m wanting to set myself a timely reminder each day to live up to what and who I’m called to be. The eagle eyed among you will have spotted the nifty little thing that happens with Bible verses on this blog. Whenever I quote a Bible verse I will always give a reference to that verse so you can read it for yourself. But the neat thing is that if I write something like John 3:16 you get to simply hover your mouse over the Bible reference and a little popup shows you what it says! This is a nifty little service supplied again by me favourite company, Logos, which they call RefTagger. It’s dead simple and really rather brilliant. There’s a few things to say about those pop ups to let you enjoy them to the full. The first and most important point is that at the bottom of the popup is a little link which says “more>”. If you click on it you will be taken to a brilliant website called bible.logos.com. If you follow the link there you will see the whole chapter of the Bible that the verse I’m quoting comes from. Much better still though is that at the top right of the screen you will see a list of abbreviations “NIV ESV NLT MKJV KJV more”. These abbreviations might seem like gibberish but they actually all stand for different english translations of the Bible. If you click on one you will be able to read the same passage of the Bible in a slightly different english translation. That’s really handy if you want to check how the different translations help you understand differences in the passage. So I encourage you to use it and explore. The other thing to mention is the little ‘L’ in a box which appears after every reference. This won’t actually be of use to most of you. It is a link for Logos Bible Users. If you have Logos installed on your computer then clicking the ‘L’ will open up the reference in your copy of Logos for you. For the rest of you I’m afraid it doesn’t mean a sausage! Sorry! 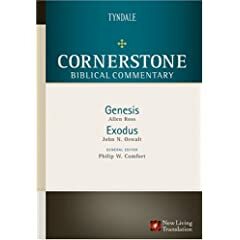 The default version of the Bible currently is the NIV (New International Version) as the evangelical tome of choice, for me at least. I hope that RefTagger will support the Holman Christian Standard Bible which I’m fast falling in love with. If and when it does then the default version will become the HCSB. The Old Testament was by and large written in Hebrew, the language of the Jews and of Israel. The New Testament was primarily written in Greek, the language of, er, well Greeks! However, in both cases the forms of Hebrew and Greek used are more akin to our Shakespearean English than the modern day versions of either language. So if you were to learn how to speak Biblical Hebrew or Biblical Greek and went on holiday to either Israel or Greece, and tried out your new found linguistic skill, you might get a few funny looks. I’m not a great linguistic scholar. In fact I’m not even really a mediocre one. I’m just a beginner, although I have been beginning for about 12 years now! However, the original languages of the Bible for me are something wonderful and beautiful – and also for serious Bible study something quite necessary. If all we use is our English translations then mostly that’s fine, but if you want to make absolutely sure that you’re thinking clearly about God’s word then it is often necessary to check back with the ancient languages a particular verse or passage was written in. It’s not something every Christian needs to do, but for some of us it is a joyful pursuit. On this blog I will occassionally quote a Hebrew or Greek word or phrase if there’s something important there for us to think about. I’m not going to chuck Hebrew and Greek around willy nilly to impress you with my vast brilliance, for it would take you very little time to see right through that game. No, I will use them simply because I love the ancient languages and want to remind us all of the heritage of the Bible if nothing else. We do need to remember that God’s word is without error in the original language it was first written down in, not necessarily in the english translations which have since been created. So what do Hebrew and Greek look like? Well, here’s the first verse of Psalm 19 in it’s original form. You read Hebrew from right to left (in other words, you start at the far end of the line and read backwards along the sentence to the left hand side of the page). John 3:16: Οὕτως γὰρ ἠγάπησεν ὁ θεὸς τὸν κόσμον, ὥστε τὸν υἱὸν τὸν μονογενῆ ἔδωκεν, ἵνα πᾶς ὁ πιστεύων εἰς αὐτὸν μὴ ἀπόληται ἀλλʼ ἔχῃ ζωὴν αἰώνιον. Anyway, a quick note to give credit to those who make this possible. I use Logos Bible software for all my Bible study work. In Logos I can quickly switch to a Hebrew or Greek version of the Bible and simply copy and paste from there. It makes life very easy for me and happily WordPress (the software I use for this blog) appears to accept the foreign language texts perfectly well. So there’s very little magic involved, and I hope that you enjoy the inclusion of these ancient and beautiful languages throughout this blog. Don’t worry if you can’t read the text itself. I’ll always explain alongside, or provide a pop up link for an english translation (as on this page) courtesy of Logos Bible Software’s Reftagger plugin. May God bless you as you read His word!